Observed at Iten, Kenya, Africa. July 2014. 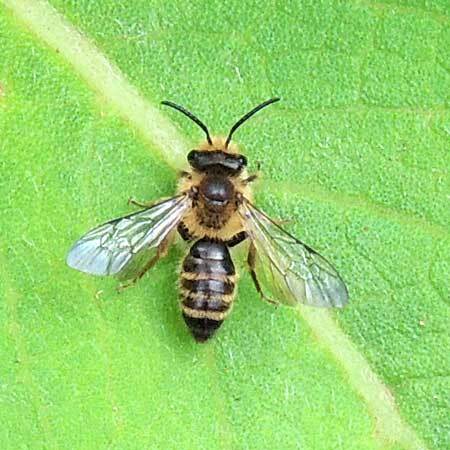 Leaf cutter bees use their powerful mandibles to cut circular and oval pieces of leaf which they use in construction of their solitary nests. Gardeners sometime object, but should take pause because these are important pollinators and help the same gardener to have good yields of fruits and vegetables!